Google looks set to completely overhaul the look of its flagship Pixel smartphones with the next iteration of the Android-powered handset. While the last three versions of the Google Pixel have all been very similar (save for the hefty notch on the Pixel 3 XL, which was a dramatic departure from earlier models), the Mountain View-based company looks set to really shake things up this year. According to 91mobiles, Google has filed a patent with the World Intellectual Property Organisation (WIPO) that contains a number of illustrations of a new handset with an edge-to-edge screen. There's not a notch in sight. With the display simply running to the very edges of the chassis. It's unclear from the illustrations included with the patent whether the Pixel 4 will be physically bigger than its predecessor, or whether it will keep the same dimensions and simply squeeze a larger display inside the case. Smartphone manufacturers are increasingly looking to increase the size the amount of available screen real estate, while maintaining a physical footprint that's small enough to use one-handed. Samsung unveiled its new Infinity-O display design during its developer conference in November. This truly all-screen design includes a small O-shaped cut-out (hence the name) for the front-facing camera. The forthcoming Galaxy S10 flagship is widely-tipped to use the design. Aside from the all-screen design, everything else about the new Pixel looks pretty much unchanged. The images filed to WIPO shows the familiar two-tone rear case, with the circular fingerprint scanner and single rear-facing camera lens – in the same positions as they're found on the back of the Pixel 2 and Pixel 3. The edges are similarly unchanged, with volume and power buttons housed on the right hand-side of the handset, with SIM-card slot on the left. Like its predecessors, the Google Pixel 4 looks set to use USB-C to sync, charge and handle audio. 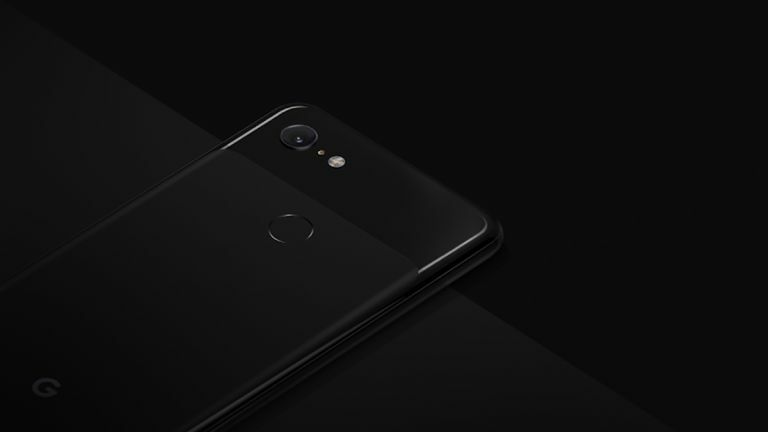 If the Google company follows its typical release schedule, we can expect to see new Pixel hardware in October this year – that's if rumours of a more affordable Pixel 3 Lite smartphonedo not come to fruition in the meantime.